This piece was originally published in the December issue of Bold Magazine. s world powers spend hundreds of millions of dollars on weapons shipments to Syria, a negligible amount of cash has gone toward the unprecedented humanitarian crisis the war has created, particularly in Lebanon, Syria’s poorest and smallest neighbor. With Syrian citizens pouring over Lebanon’s borders at a rate of 3,000 per day, the number of refugees is projected to grow to two million in 2014, nearing a 50% increase in an existing population of around 4.5 million. The result has been a massive burden on the country’s already dysfunctional social services, and by next year, the Syrian war will have cost the debt-ridden Lebanese economy some $7.5 billion, according to a World Bank assessment. Yet thus far, BOLD has learned that the Lebanese state has received just $2.8 million in direct aid from the international community, or less than 0.1% of its total appeal, government estimates show. To entice donors, the World Bank is now setting up a multi-donor trust fund to raise up to $400 million to support the short-term spike in spending by Lebanese public institutions such as healthcare, education and sanitation services, which have grown exponentially. But so far only Norway has announced that it will donate around $2 million to the fund, according to Haneen Sayed, human development coordinator at the World Bank’s Lebanon office. She said Holland and Great Britain have also shown interest, but there have been no other commitments thus far. But Lebanon’s finance minister, Mohamad Safadi, was not optimistic about donations after a recent meeting with officials from the World Bank and International Monetary fund. “I am afraid that Lebanon will not receive the required assistance,” the minister told reporters during a trip to Washington in October. A major sticking point may be Lebanon’s opaque track record on transparency, efficiency and corruption when it comes to executing national and humanitarian projects. 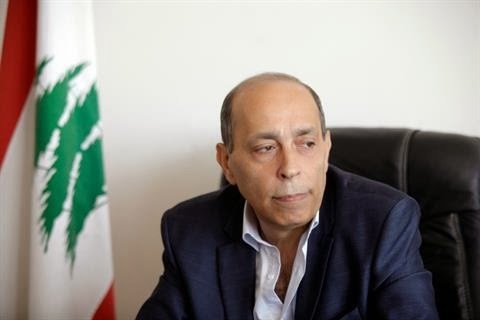 Just this November, the head of Lebanon’s Higher Relief Council was arrested on embezzlement charges after media reports emerged alleging he had transferred more than $13 million of public funds to private accounts outside Lebanon. The official, Ibrahim Bashir, denied the charges, making the counterclaim that he had “transformed” the relief council from “a Beiruti-Sunni monopoly that offered help to a limited class of people,” Lebanon’s Daily Star reported. According to the World Bank’s Sayed, the new trust fund will be managed by the bank and subject to its strict monitoring and fiduciary controls, helping allay transparency reservations. “One of the concerns donors have is where will the money go, how the money will be spent,” she says. But Samir Daher, an advisor to Lebanon’s prime minister, rejects the idea that the absence of a transparent fund has discouraged donations. 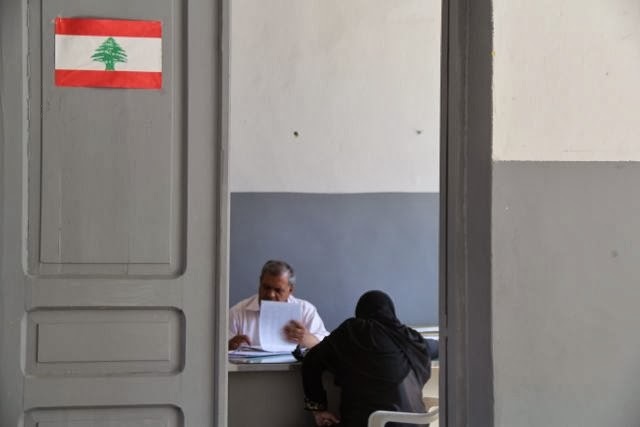 Indeed, while Lebanon is currently hosting over a million refugees, arriving at a rate of thousands per day, European and North American countries have only pledged to grant asylum to some 10,000 individuals according to the UNHCR. And of that number, just 658 have actually departed for Europe this year, which is less than 0.06% of all Syrian refugees residing in Lebanon. Moreover the main funders of the war, such as Qatar and Russia, have provided just 3% of their fair share of the UN’s humanitarian aid appeal, according to a report issued by Oxfam in September. The report added that France and the United States have delivered only around half of their respective shares. In Lebanon, the shortfall in humanitarian funding has meant that the UNHCR has received only half of its total aid request, or some $600 million. As a result, the UN refugee agency says it has been forced to discontinue assistance such as food vouchers to 35% of recipients. This includes families living outside in tents. The crisis is likely to worsen as winter settles in, with tens of thousands of the refugees having set up camp in flood zones with no floors or walls for protection and a lack of winter clothing. Meanwhile Lebanese institutions are struggling to cope with the one million plus population influx. Hospitals beds are becoming scarce and public schools are overwhelmed with some 100,000 new students or around one third of the entire public school population, says Daher. At the same time, subsidized state services such as power production and sanitation have increased exponentially. For example, Daher says Lebanon’s garbage collection is up from 4 million to 6 million tons, and the country must now produce an additional 320 megawatts of electricity, a significant shortfall that may increase the routine power cuts, which are already as high as 12 hours per day. 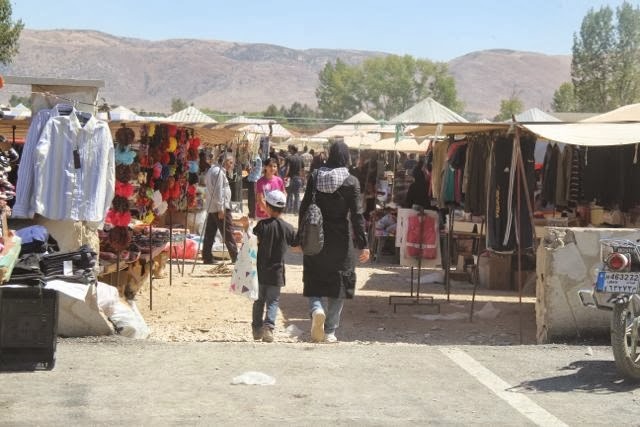 Worse still, the Syrian refugee crisis is expected to lead to a spike in unemployment, with the World Bank projecting 170,000 Lebanese will enter poverty, having lost jobs to Syrian laborers who will accept lower wages. The cost of maintaining current services alone — not including opportunity costs and related expenses — will be $2.5 billion, money that cash-strapped Lebanon, which has one of the highest debt-to-GDP ratios in the world, simply does not have. “There is no example in the world, in history, of a country taking so much, and not getting heavy lifting from the international community when it comes to aid assistance and support,” the Bank’s Middle East director Ferid Belhaj, told Reuters in November. Yet Daher, the prime minister’s advisor, complains the vast majority of donor money goes toward the UN’s operation and virtually none of the $600 million it has received is funneled directly toward Lebanese institutions. Major contributors to UN and non-government organization funding in Lebanon include Kuwait, at $300 million, and the United States at $250 million. 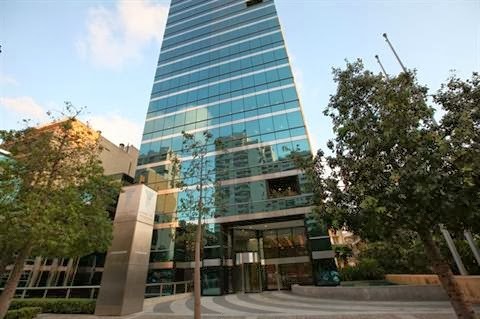 But embassy sources from both countries declined to comment on the possibility of donating to the World Bank’s Lebanon trust fund or why they had largely chosen to support UN and NGO efforts over direct funding of Lebanese institutions. Both the French and UAE embassies also did not respond to requests for comment on the trust fund, despite repeated requests. There is little room left in Lebanese schools and little aid goes toward local institutions. “We prefer to go through UN agencies and NGOs, ie, to those who have a clear added value, relatively lowest transaction costs, etc,” she said via email. Eichhorst added that EU funding to Lebanon related to the Syrian crisis, which amounts to some $300 million, would support efforts at various ministries, such as education, agriculture and energy. Yet some question the response time. The refugee crisis is now almost three years old and the trust fund is only now being set up, and will not be finalized until mid-December, the World Bank says. Ramzi Naaman, a former advisor to the prime minister on humanitarian issues, said organizing the trust fund presented a daunting challenge for intergovernmental cooperation, known to be problematic in Lebanon. “This is an issue that must bring a lot of parties together,” he said. “When you start looking at plans, that means you as a government have decided to reorganize yourself. Sayed from the World Bank says the fund, if successful, will begin with small scale existing projects and short-term solutions. This may include refurbishing of schools and assistance to municipalities in garbage collection. Other programs may tackle job training and subsidizing of companies to hire new employees. The fund will not be able to tackle the strain on major infrastructure such as power production or widespread poverty that affects a quarter of Lebanese citizens. 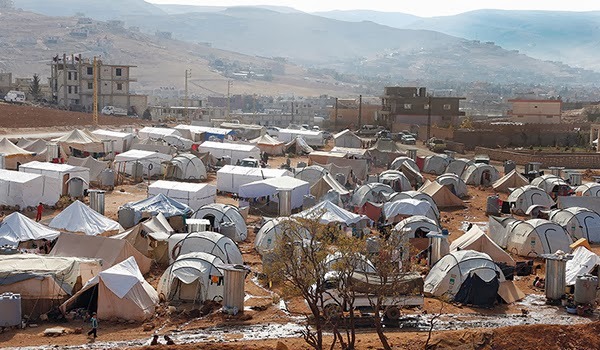 “The situation of extremely poor Lebanese is not much better and in some cases is worse than that of the Syrians,” says Naaman, who formerly headed the government’s anti-poverty program. He worries that swift delivery of aid to some of the refugees may cause resentment among locals and potential social tensions in Lebanon’s poorest regions, such as remote Akkar. “So this crisis has not only impacted us in terms of pressures, it has also somehow helped emerge a lot of our problems that have historically existed,” Naaman says. Instead of just waiting for money from foreign donors, there may also an opportunity for the private sector to get involved. Lebanese companies could chip in to make job-creating projects happen, particularly the country’s banks, awash with over $120 billion in deposits, or nearly three times Lebanon’s GDP. With the right political leadership, such projects could be tax deductible and provide work for both Syrians and Lebanese, which could help defuse tensions, Naaman said. The projects could be used to help promote banks, and, with enough media exposure, initial donations could encourage other banks and corporations to match their competitors, he said. The effect could turn a crisis into an opportunity for long-term development and national reconciliation, Naaman explains. Can the private sector help the Syrian refugee crisis?